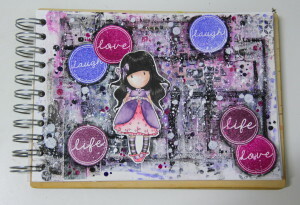 Hi, I am all the time playing with mixed media, it is such a great fun. 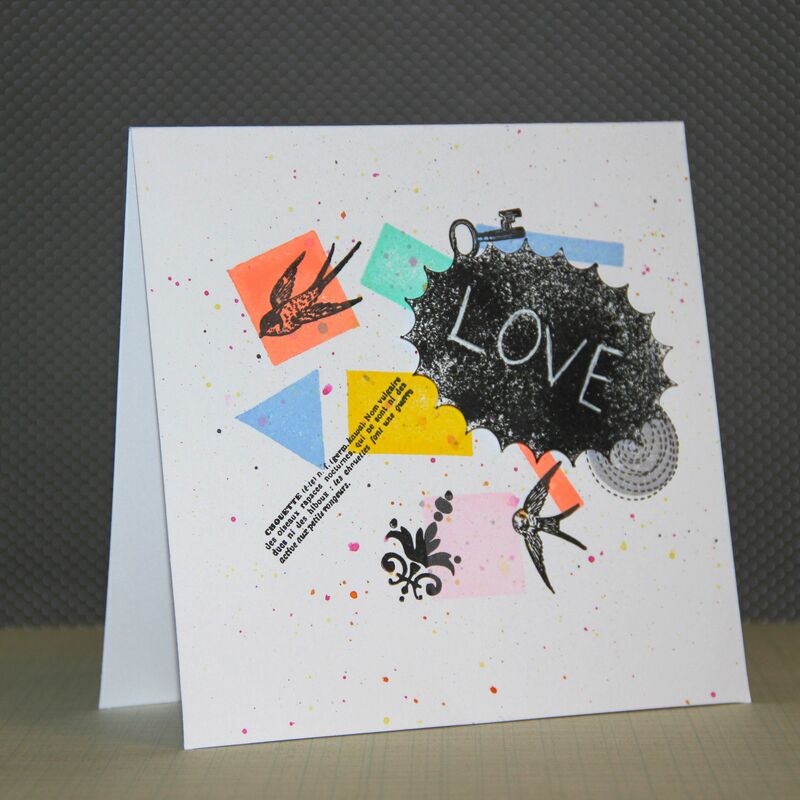 Today I have for you three mixed media cards. 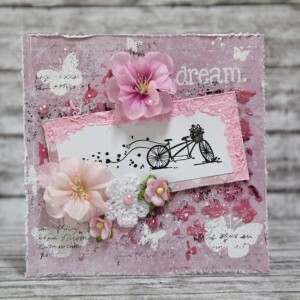 Here I used great stamp set from Pink and Main (butterflies, sentiments). Bicycle stamp is from Aladine. This entry was posted in Cardmaking and tagged 7 dots studio, Aladine, cardmaking, Finnabair, mixed media, Pink and Main. Runway inspired challenge. Experiment? Yes my card is really something like that. I took from inspiration pieces and put them together into one card as puzzle. 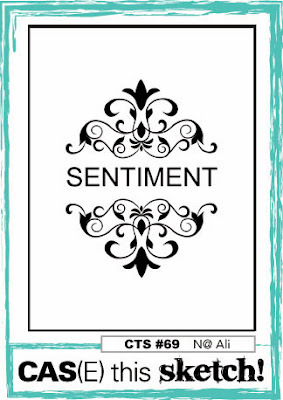 Not so my style. 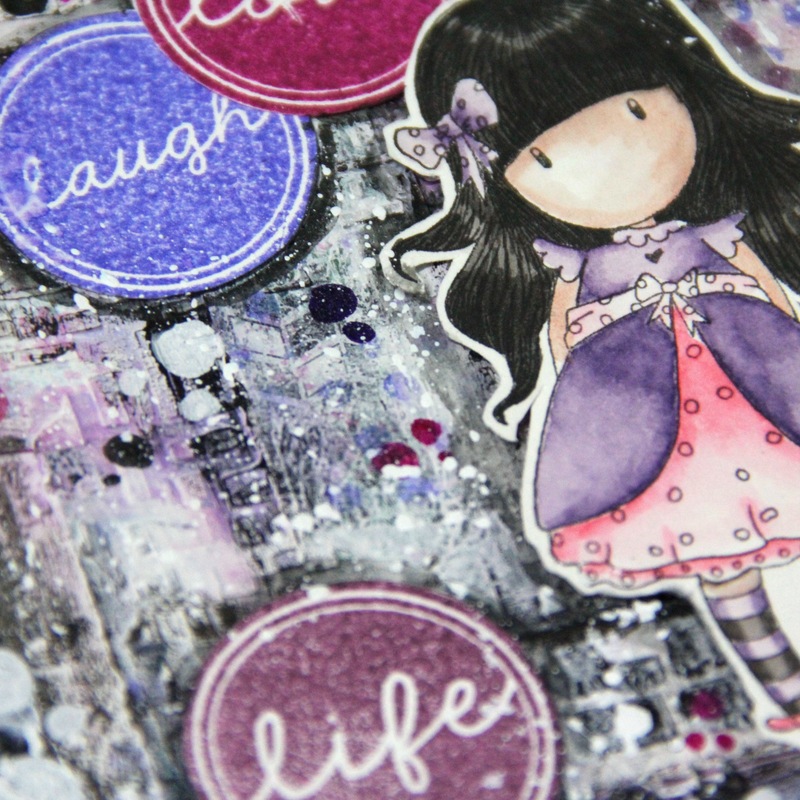 I used geometric shapes for background, some motives from one old vintage set of stamps. I cut out bubble and decorated it with distress ink. 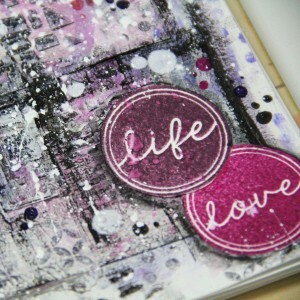 Love sentiment is hand written with white gel pen. I used technique stamping in layers. 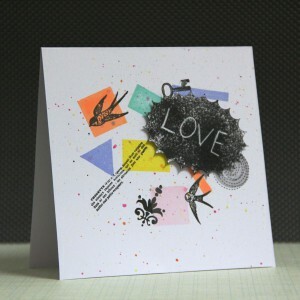 This entry was posted in Challenge and tagged Aladine, bird, cardmaking, Challenge, Distress ink, silhouette. Anything goes with buttons. Buttons are my love. 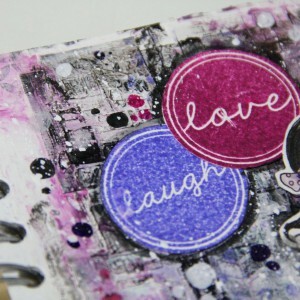 I have small shop with them and I have tons of them at home. 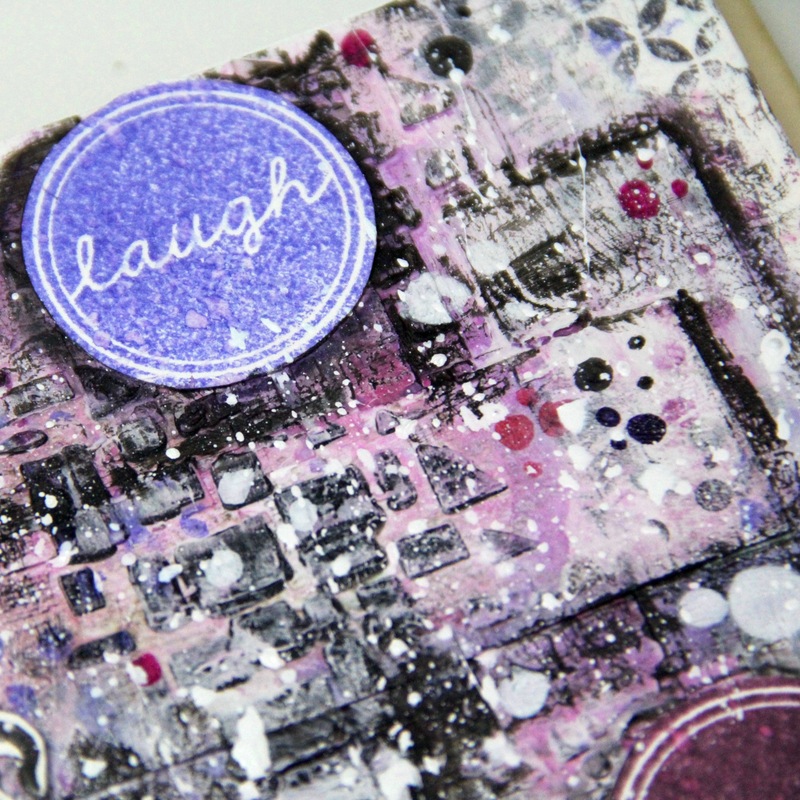 It was really challenge. I wanted to use them all but it was not a good idea. 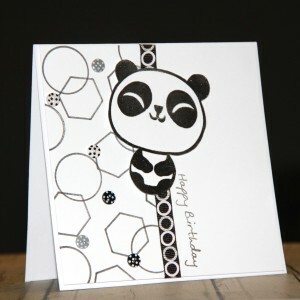 So I created easy card with panda stamp from Aladine. Background is Aladine stamps (Stampominos geometric shapes) and ribbon from May Arts and sentiment from very old stamp set. 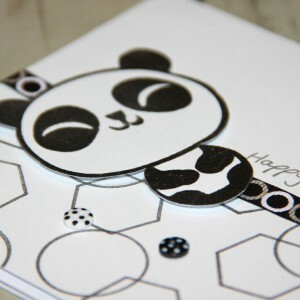 Easy black and white card with many small buttons. This entry was posted in Challenge and tagged Aladine, button, cardmaking, Challenge.